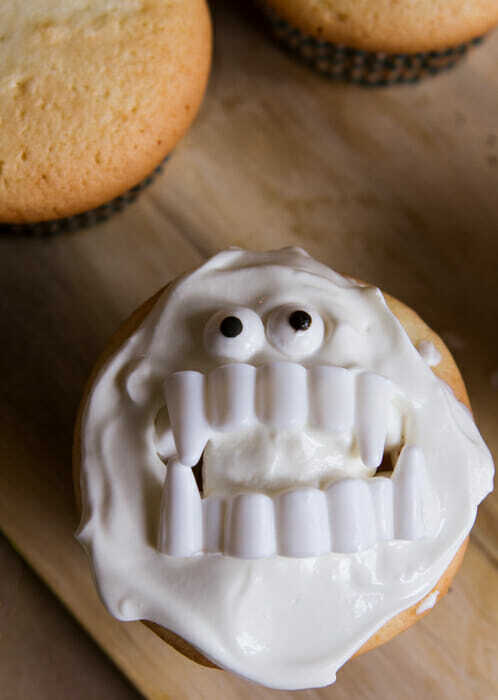 So have you seen that doughnuts with vampire fangs thing circulating around Pinterest? You know, where little vampire fangs are placed in the hole of a doughnut and all you have to do is slap some eyes on there and call yourself a rockstar mom? I thought it was too easy to fail. I thought this was something I could do. So I bought a whole bunch of vampire fangs and just went into it with the assumption that they’d be adorable. See, what they don’t tell you on Pinterest is that about 3 minutes after you insert the plastic teeth, the jaw is going to open again, thus tearing apart your doughnut. Mine didn’t look cute or clever, they looked like mutilated doughnuts with plastic teeth sitting on top of them. They looked like Pinterest Shame. Also, what was I EVER going to do with 100 sets of plastic vampire fangs? I’m pretty sure my kids combined don’t even know 100 people. (hey, he’s a monster–it totally counts for Halloween even if he IS a Christmas-related monster!) and voila! 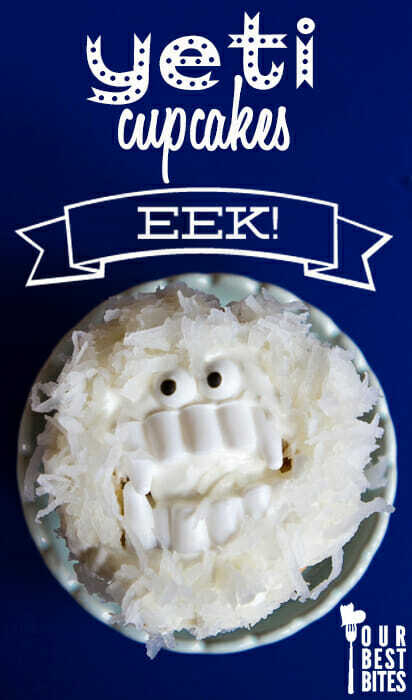 Easy yeti cupcakes. Back to something I could do and still have the brain capacity to remember to take my mangy dog to get her hair cut, unlike the last three times I made an appointment and forgot. So. These are super-easy. Depending on how much of the legwork you outsource (like buying unfrosted cupcakes from the grocery store bakery or buying canned frosting), this could take you, in the immortal and completely original words of Katy Perry, from zero to your own hero with almost no legwork. 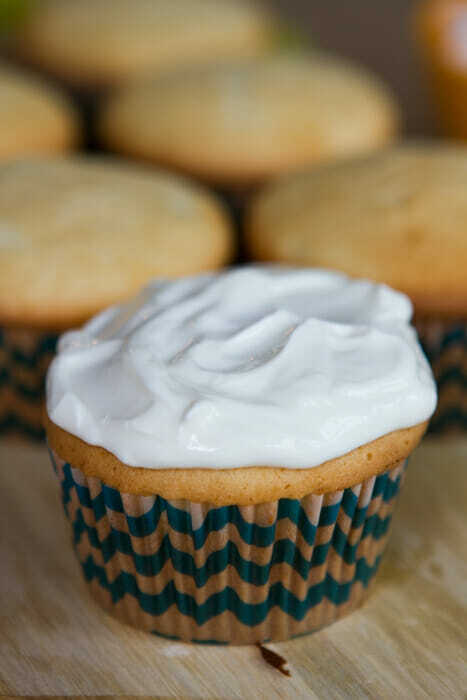 Frost the cupcakes (not too heavily, but enough to get the coconut to stick). Gently press the fangs deeply into the cupcake. Place the eyes onto the frosting. Coat with coconut and serve. Oh my goodness! I bought the fangs to make those donuts for our party this weekend. Thanks for the heads up!! 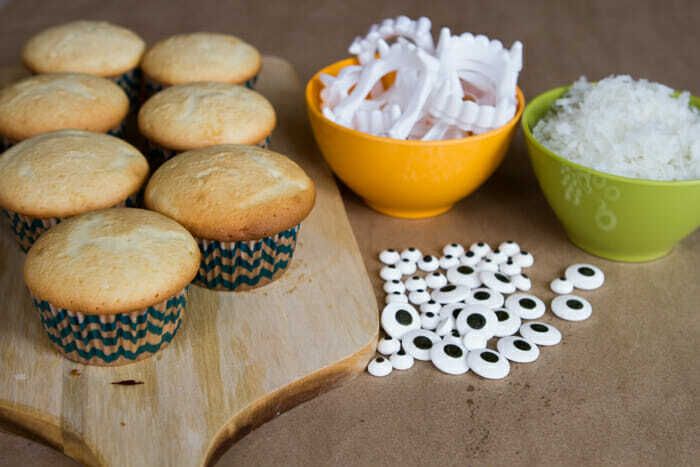 It makes me want to color some frosting blue and put it in his mouth or around his eyes –but why add an extra step, these look so easy and cute! I think you’ve got the teeth upside down, but maybe that’s just a matter of opinion. Where did you get those cute cupcake papers? I was wanting to make those donuts for my kids…good to know that they don’t work well. This is a totally cute idea! If you really wanted to make the vampires or alternately yetis using doughnuts and don’t care about the kids being able to use the fangs after, you could probably just cut the fangs in half at the bendy joint part (that’s the techincal term folks), right??? My kids would complain about that, though! 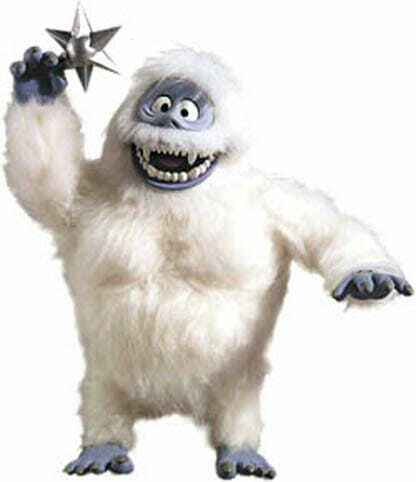 Just say it’s the Yeti from Monsters, Inc. and voila! 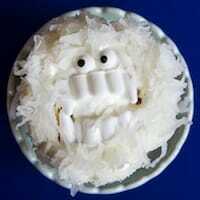 No more worries about using a Christmas inspiration for a Halloween cupcake. I have an unhealthy obsession with Rudolph as well. It makes my holiday season! For the last few years I’ve given out glow bracelets and glow-in-the-dark fangs like these on Halloween. The older kids love the vampire look and the little ones (and their parents) love the bracelets. thank you for this post. 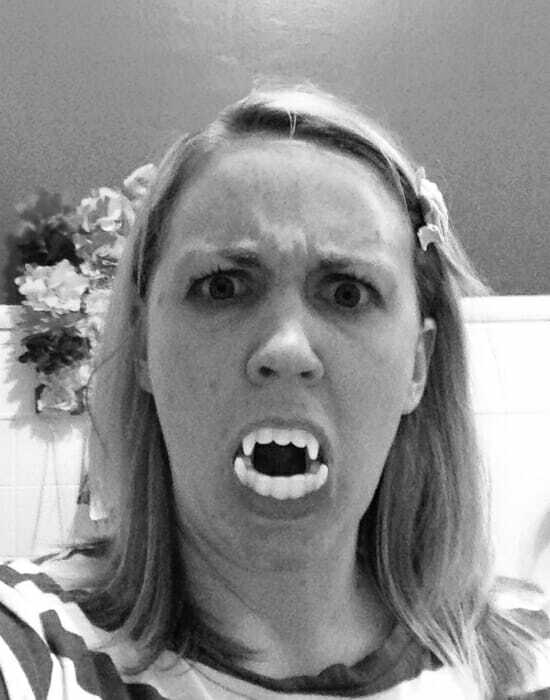 I was going to purchase 50 donuts this week for a school Halloween party and do the fang thing. I would have been so upset! I love this blog. Cute cupcakes. I wonder if a different brand of doughnut would have worked better for you. I used the original glazed Krispy Kreme doughnuts and by scrunching up the fangs from top to bottom and on both sides I got them to work. I made them only an hour before they would be eaten so they would not dry out since they do crack a little around the hole. The kids loved them. I put the fangs in and my kids added the eyes and tongue. I tried making one the night before and did not scrunch the fangs in on the sides. I was not happy with the results of it opening up and cracking the doughnut. Thank you for answering the question I have always had about those doughnuts! And how to truly embarrass my kids when they have friends over cuz the flannel pajama pants and no make up was getting old. I love these cupcakes! Next Post ❯ Next post: Weekend Roundup and Some of Kate’s Favorite Fonts!